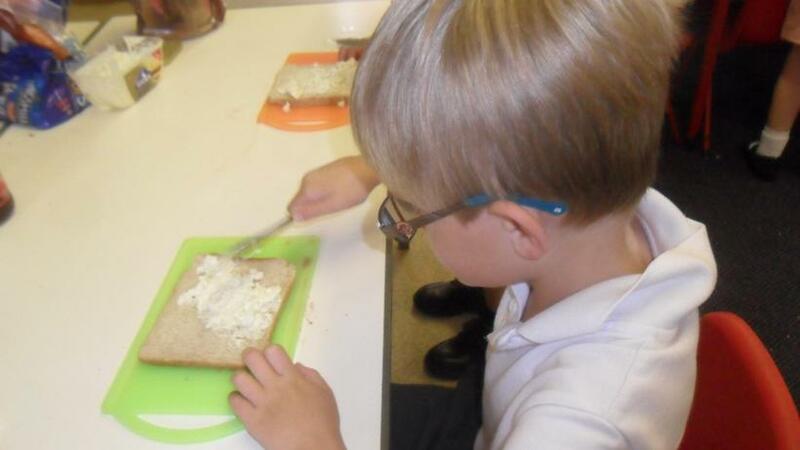 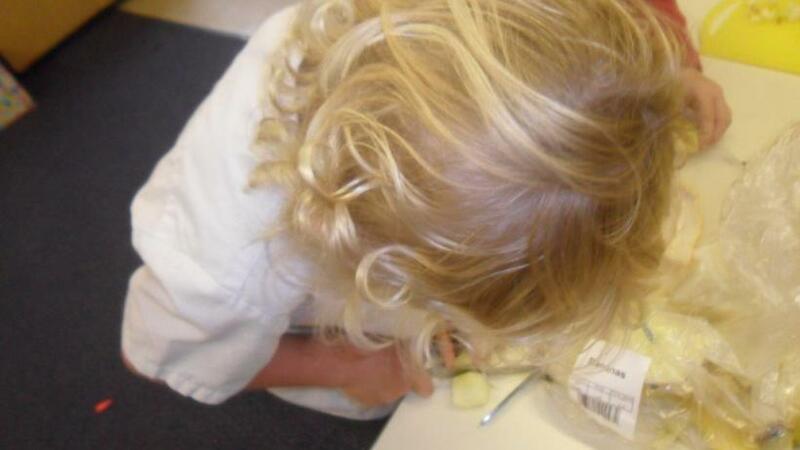 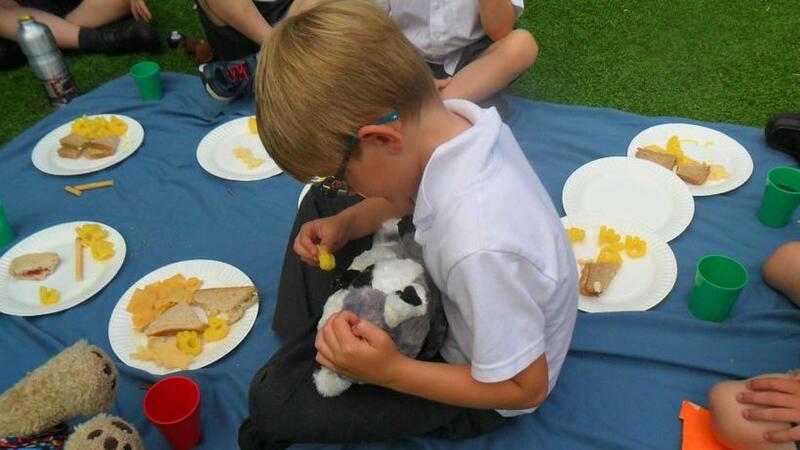 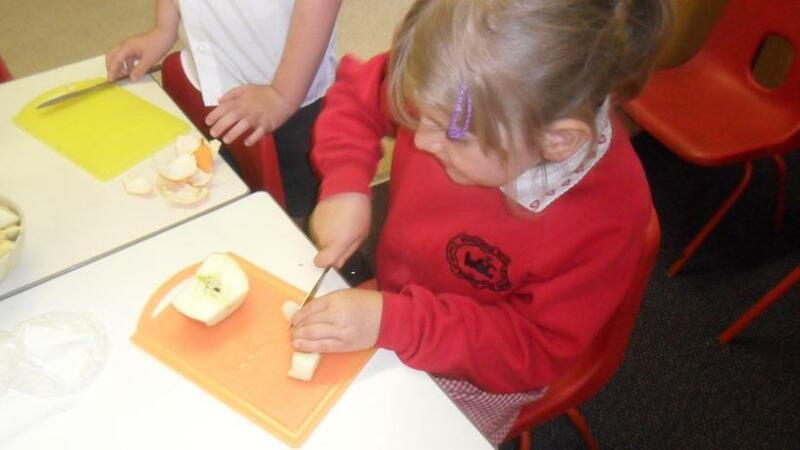 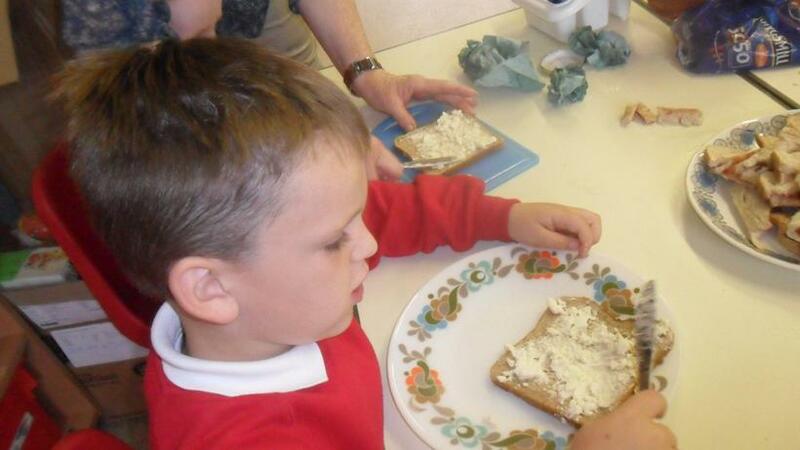 The Reception children had great fun making sandwiches and cutting up fruit for our teddy bears picnic. 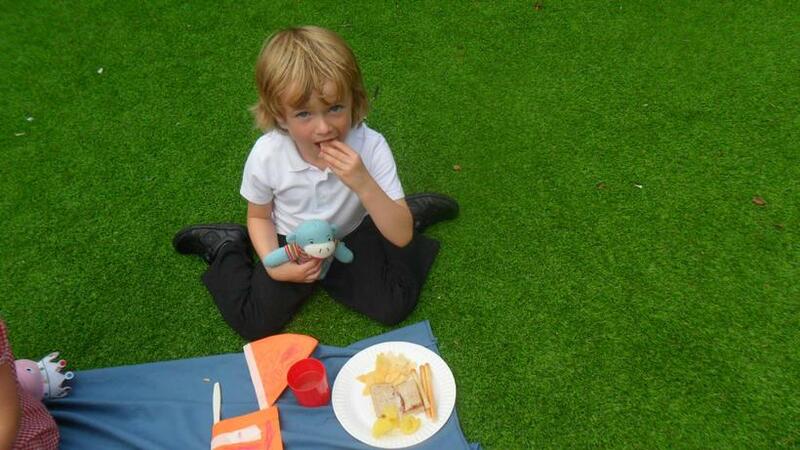 We then went into the outside area to enjoy our picnic with our teddies. 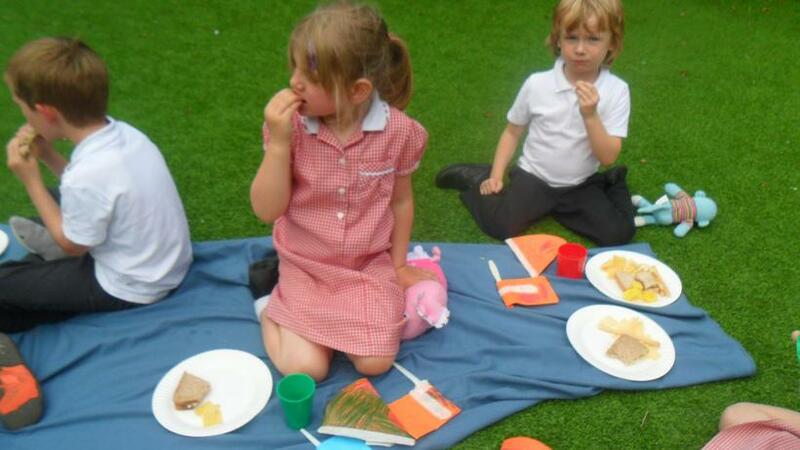 After our picnic we played some games, including: hide and seek, the hedgehog game and duck, duck, goose.